BBC have been early supporters of the rising star, recognising Sigrid for her “stunning Scandipop bangers” and “confidence and charisma that belies her 21 years”, as reasons she made the longlist. Speaking of her win on Radio 1 this morning, Clara Amfo described her songs as “anthems” and she received praise from Annie Mac about her versatility, calling her "literally the perfect pop star". Aged just 21, she is one of the youngest artists to receive the honour - beaten only by Adele who was 19 when she topped the 2008 list. She appears on a number of prolific tipped lists for this year, including MTV’s Brand New, Vevo dscvr, Ticketmaster’s New for 2018, and Apple Music New Artists, as well as lists from Amazon, The Line of Best Fit and Billboard. 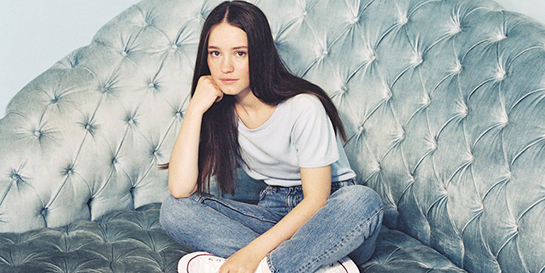 Sigrid burst onto the scene last February with the release of her debut single Don’t Kill My Vibe, marking the start of an establishing year for the singer. Despite having no following, the single racked up a triumphant 4.2 million streams in just three weeks. Her talent was showcased with the DKMV EP, which was made up of catchy pop songs such as Plot Twist, as well as showing off her voice in powerful ballads like Dynamite. Other highlights from her year included facing Topshop’s international Christmas campaign, recording the opening track of the Justice League soundtrack, and receiving a nod of approval from Sir Elton John. Sigrid will head on a sold out eight-date UK tour in March, where she will be playing at London’s O2 Empire. She will also be taking on one of her biggest festival yet, performing on the Beyoncé-headlined night of Coachella in April. She’s been in the UK this week for a heavy promo trip, so expect to see lots more to come from the star in the upcoming months and throughout the rest of the year.